Rare and threatened Southern Brown Bandicoots and Long-nosed Bandicoots have been recorded by remote cameras in the Great Otway National Park. The exciting discovery was made by the Friends of Eastern Otways who do regular monitoring work in the park each month. The group set up the cameras at Urquhart Bluff near Aireys Inlet after bandicoot prints had been observed on the foreshore dunes. The Friends Group was rewarded last month when camera results proved that the rare Southern Brown Bandicoot and the Long-nosed Bandicoot were sharing the same habitat. The Southern Brown Bandicoot is listed as ‘Endangered’ under the Federal Environment Protection and Biodiversity Conservation Act and as ‘Threatened’ in Victoria. Margaret MacDonald, Honorary Secretary of the Friends of Eastern Otways, said that the volunteer group was excited to know that these two species of bandicoot are happily using the same habitat. “We are really thrilled to share this good news and hope that the small mammals will remain in the area and increase in numbers. The bandicoots were recorded on separate occasions during the afternoon and after dark. This is a great reminder of the wonderful habitat that the Great Otway National Park provides for native animals, including rare and threatened species,” she said. Parks Victoria Ranger Cathy Longmore, said volunteers from the Friends Group do a huge amount of work to help care for and improve the park and its natural environment. “The Friends monitoring work complements the ongoing small mammal monitoring program and research that Parks Victoria conducts in the park. The results will be added into the Victorian Biodiversity Atlas and really help to build our knowledge of which species are present and their locations,” said Ms Longmore. “It makes a huge difference to have volunteers like the Friends of Eastern Otways who really care about the area and are actively helping to manage the park,” she said. The Friends of Eastern Otways are a local group of people who share an interest in the natural environment. They are involved in a variety of environmental projects within the Great Otway National Park, including threatened flora and fauna monitoring, environmental weed removal, indigenous plantings and activities to raise community awareness about the park and environment. 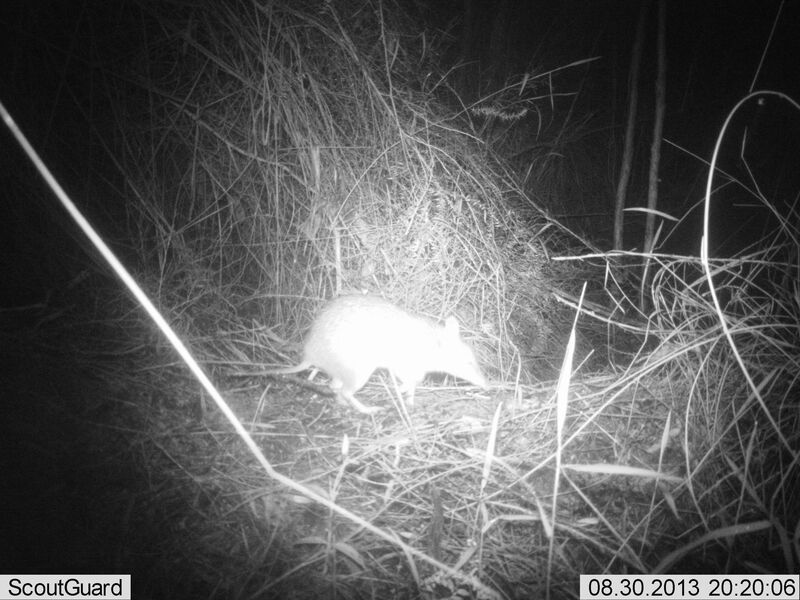 It’s fantastic that Parks Victoria and community organisations including the Conservation Ecology Centre and Friends of the Eastern Otways are regularly recording images of medium sized mammals like the long-nosed bandicoot right now. In a time when many of our most critically threatened mammals are succumbing to threatening processes such as predation from cats and foxes, it’s great to know that the Otways is still a bastion for some of these important species. Dr Jack Pascoe, Conservation & Research Manager, Conservation Ecology Centre. Part of the 3 Volumes by John Gould, F.R.S.